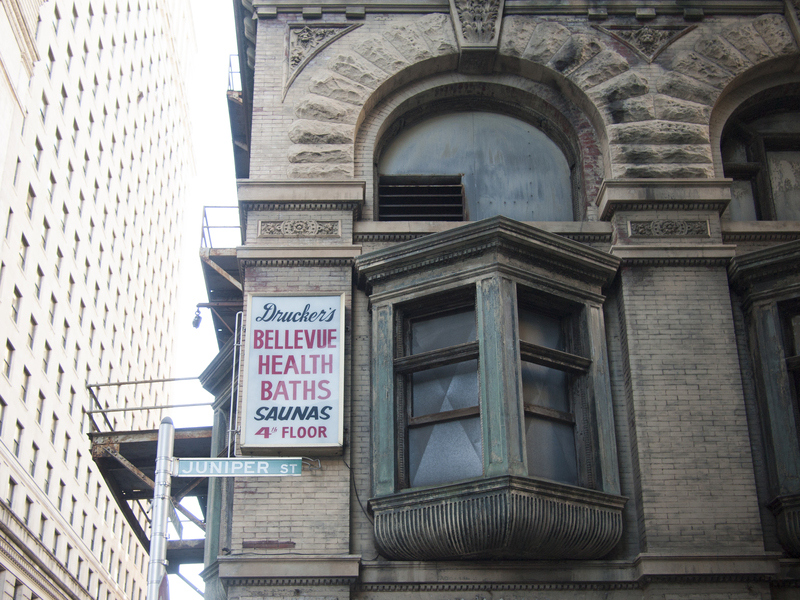 Tucked on the Sansom side of the Willis G. Hale Building, the Drucker’s Bellevue Baths was a gay-oriented Turkish bathhouse popular in the 1950s and 60s, 22 February 2014. 16 Apr	This entry was published on April 16, 2014 at 6:06 pm and is filed under Architecture, Center City, Historic Preservation, Philly Signage. Bookmark the permalink. Follow any comments here with the RSS feed for this post.